The ideal all around wrestling shoe at a great price. 3D Mesh - 3 layer spacer construction for optimal CLIMACOOL® ventilation. The Response 3.1 has 3D mesh, synthetic 3 stripes, a lace cover, an internal molded midsole wedge and drivezones. 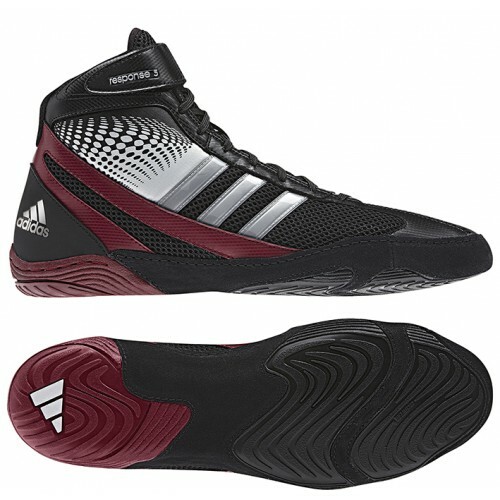 These lightweight shoes are designed for the advanced wrestler. Made from breathable sweat-wicking material, they feature a lace cover and a durable leather toe guard.